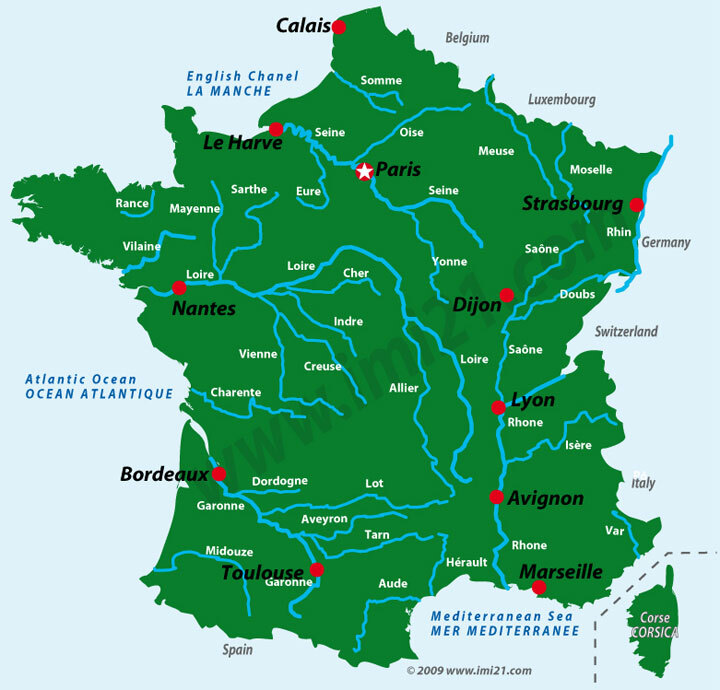 A map showing the main rivers which flow in and through France. The most well know are the major rivers such as the Seine, the Rhone and the longest is the Loire. The rivers and canals connect to provide a vast network of inland waterways, perfect for cruising holidays. Discover all the hotel barges and self-drive boats which cruise on the French rivers. Learn how the rivers are connected by the inland waterways and canal network which is on the next map.